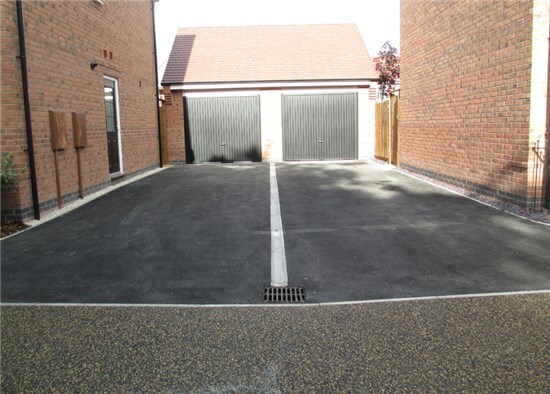 We offer our customers a choice of different types of driveway, colours and designs to suit their requirements. We use good quality materials. 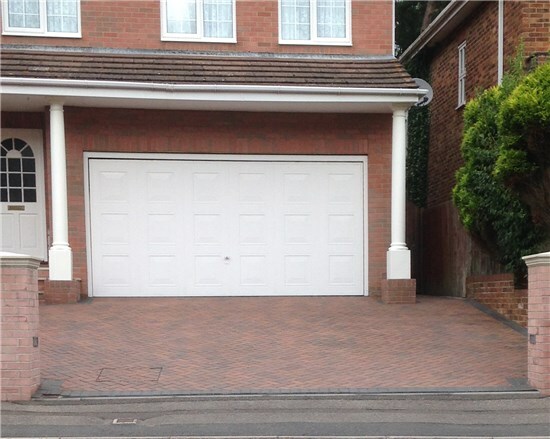 Our aim is to provide the customer with a good quality driveway, with a minimum of inconvenience. Customer satisfaction is extremely important to us, and most of our business comes from word of mouth referrals. We undertake large and small projects from design through to completion. Most of our work is undertaken in Nottinghamshire, Derbyshire and South Yorkshire, we can also work outside our local area depending on the size of the project. We at D B Construction, have a highly skilled team to carry out all the work we do. That way, we are able to ensure the quality of everything we do. We offer all our customers guarantees on the work carried out. D B Construction, are a friendly, reliable company with many years experience in building driveways, paths and patios. Block paved driveways are a very popular choice for many homeowners. 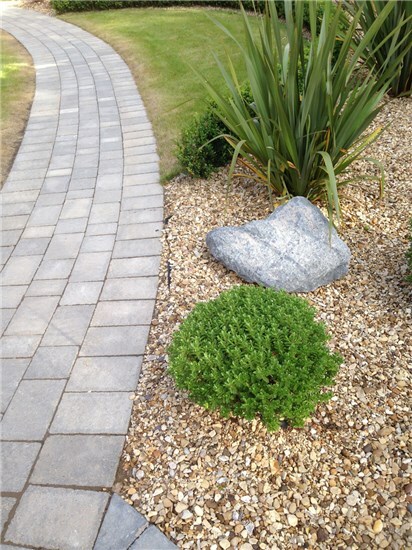 Block paving is extremely durable and creates an aesthetically pleasing look as it transforms any property. Very little maintenance is required which is appealing to many people. There are a variety of colours to choose from. Block paving can also be customised with a variety of designs. Steps can be added, where necessary to match the driveway. The edgings of a block pave driveway can be created using a variety of materials to match or contrast the driveway. 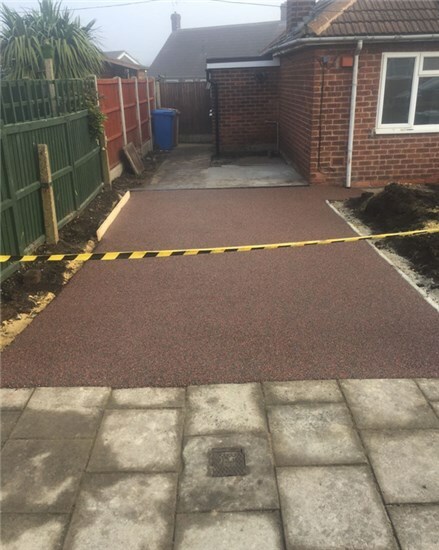 A driveway takes a great deal of punishment with the weight of vehicles, so it is crucial to engage a company with a proven track record of quality workmanship like us if you need a driveway. When we design and build it, you can be sure that your driveway will still look stunning in years to come and you have the added assurance that we retain a string of happy customers. Remember us by scanning this image into your phone and then you will be able to view our website. 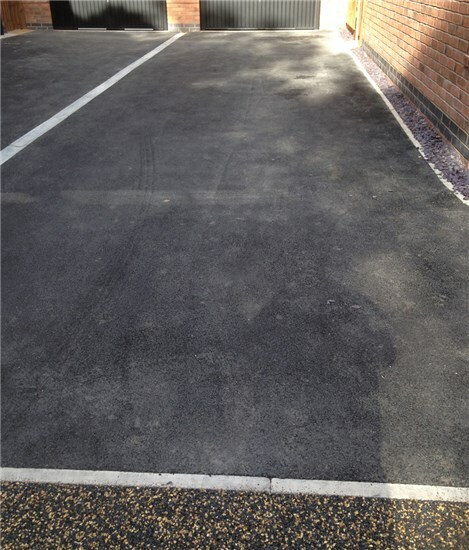 Tarmacadam is a popular surface for roads and car parks as well as driveways.